US Labor Against the War (USLAW) - Articles Profile - USLAW Statement: "Hands Off Venezuela"
Articles Home » NEWS BY LOCATION » USLAW Statement: "Hands Off Venezuela"
USLAW Statement: "Hands Off Venezuela"
On January 27, 2019, the Co-convenors of US Labor Against the War issued this statement in response to developments in Venezuela. In the case of Venezuela, the economic distress has been precipitated largely by the decline in world oil prices. Oil is the most important revenue source for the Venezuelan government. But Venezuela’s economic difficulties have been greatly compounded by economic sanctions imposed on Venezuela by the United States, beginning in March 2015 under Barack Obama. These have been explicitly designed to choke off Venezuela’s access to international markets and resources for the purpose of destabilizing the Maduro government and, before that, the government of Hugo Chavez. The economic chaos the U.S. now points to in Venezuela as a justification for intervention is in large part a consequence of U.S. policy, which is designed to provoke popular unrest, sow divisions and precipitate an uprising against the government. Would you recommend USLAW Statement: "Hands Off Venezuela" to a friend? Your Review on USLAW Statement: "Hands Off Venezuela" has been successfully submitted. 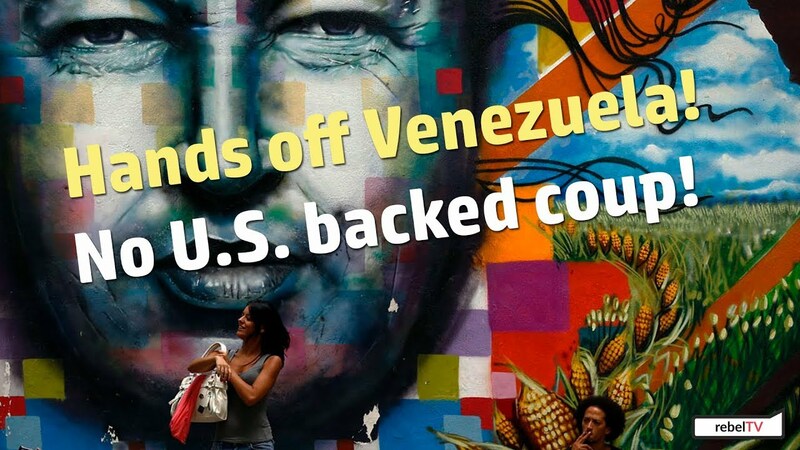 Go to the Article USLAW Statement: "Hands Off Venezuela"